<< Back Fiebing's Saddle Soap 5 lbs. 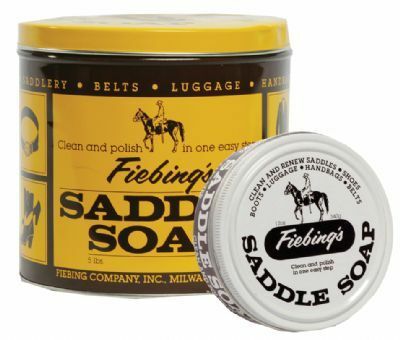 Fiebing's Saddle Soap 5 lbs. Fiebing's signature product. Used all over the world on fine saddlery, boots, shoes and other smooth leather articles. Cleans leather and lubricates the fibers to prevent brittleness, all the while maintaining suppleness and strength. Formulated in yellow. Fiebing's Black Saddle Soap Paste works especially well on all black harness and tack.